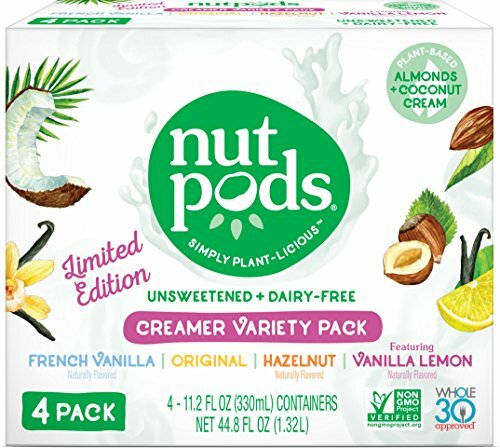 LIMITED EDITION FLAVOR INCLUDED - Featuring Original, French Vanilla, Hazelnut and Vanilla Lemon naturally flavored dairy-free creamers! 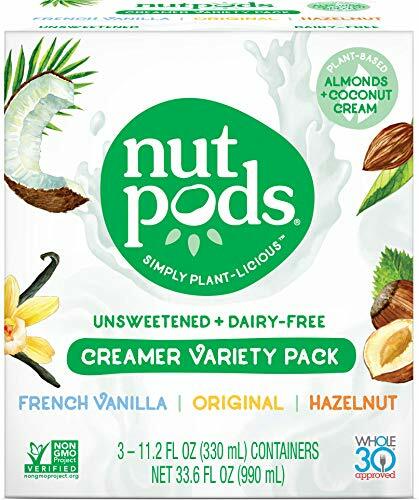 UNSWEETENED CREAMER - nutpods is a rich, smooth creamer made from almonds & coconuts to satisfy all of your dairy-free and non-dairy cravings, and always unsweetened (no sugars or alternative sweeteners added). 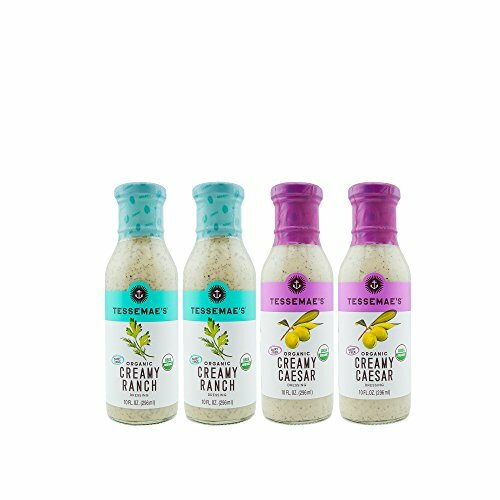 HEALTHY ALTERNATIVE - These dairy-free creamers are an essential addition to a healthy lifestyle, for those who follow keto, paleo, plant-based (vegan), vegetarian, lactose-free, and/or diabetic diets. 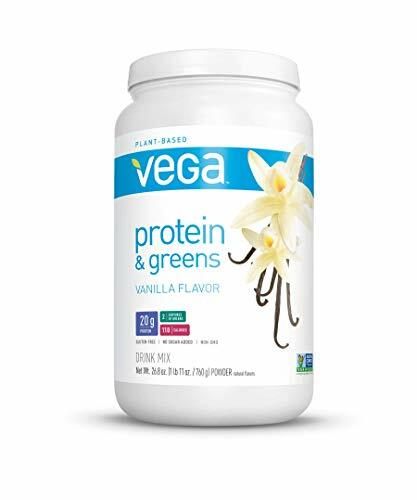 NUTRITION INFORMATION - Free from Carrageenan, Dairy, Soy & Added Sugars. Certified Vegan, Whole30 Approved, OU Kosher, Gluten-Free, Non-GMO Project Verified & Paleo and Keto Friendly! CONVENIENT PACKAGING - Comes as a package of twelve 11.2oz shelf-stable containers making it portable for all of your travel needs. Refrigerate after opening. 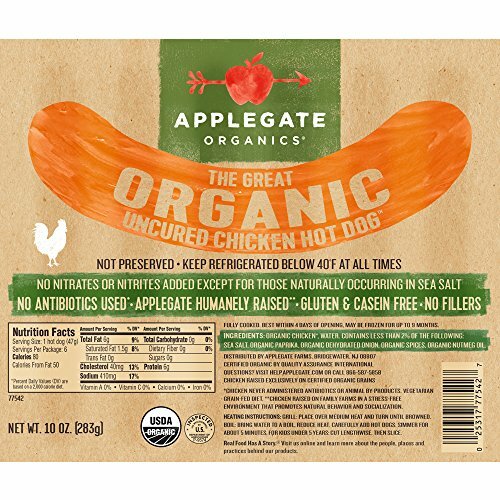 Free from Carrageenan, Dairy, Soy & Added Sugars. 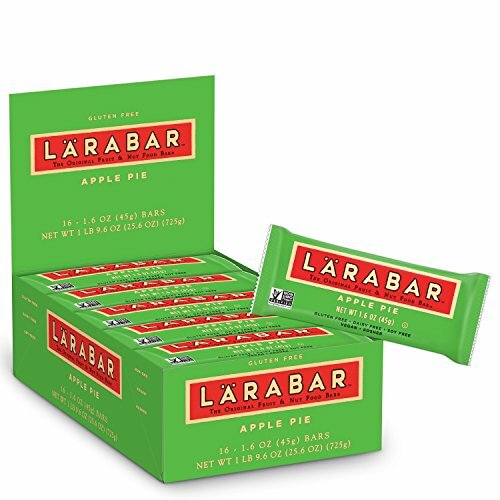 Certified Vegan, Kosher, Gluten-Free & Non-GMO Project Certified, & Paleo-Friendly! Unsweetened and meant to be used with your favorite sweetener, or none at all, and great in your sweet and savory recipes too! Comes as a package of Three, 11.2oz shelf-stable containers. Refrigerate after opening. LIMITED TIME ONLY - The perfect Stocking Stuffer Gift! 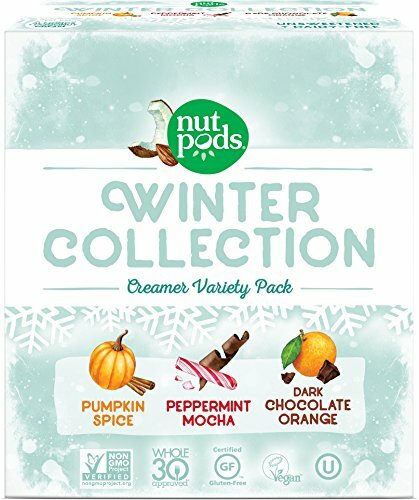 Pumpkin Spice, Peppermint Mocha & Dark Chocolate Orange, all in one beautiful package of unsweetened deliciousness! 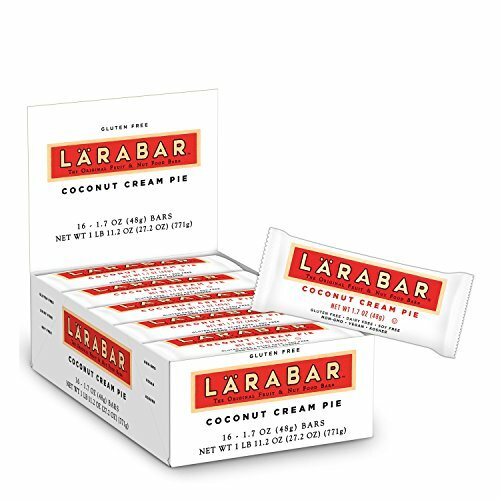 Dairy-Free, Unsweetened (0g of sugar per serving), and Deliciously Creamy. 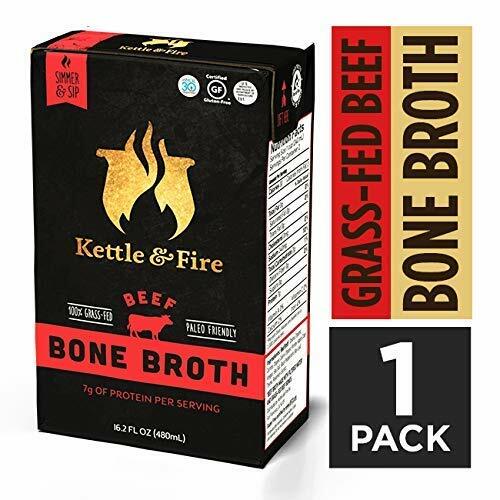 Whole 30 Approved, Keto & Paleo Friendly, Certified Vegan, Kosher, Gluten-Free, Non-GMO Project Verified, Carrageenan and Soy free, and 0 Weight Watchers Smart Points per serving. 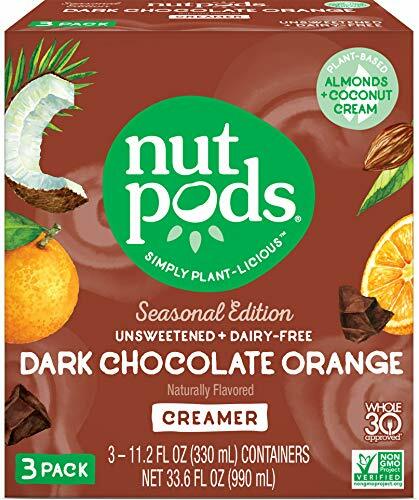 An alternative to Half & Half, nutpods is used in sweet & savory recipes! CONVENIENT PACKAGING - Comes as a package of three 11.2oz shelf-stable containers making it portable for all of your travel needs. Refrigerate after opening. EXPECT TO BE DELIGHTED: Our creamy French Vanilla flavor elevates any cup of coffee with its warm vanilla sweetness. Make your morning cup of joe a special treat or add flavorful inspiration to your afternoon coffee break. Shelf stable, non-dairy creamer. 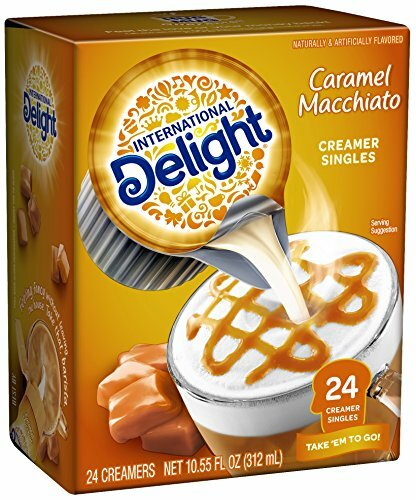 SHAKE IT, STIR IT, FREEZE IT, STEAM IT: International Delight creamers are for more than just coffee. Add some flavor delight to hot chocolate or other beverages, shake up a cocktail, make a frozen coffee drink, or pour it in a blender with ice cream. 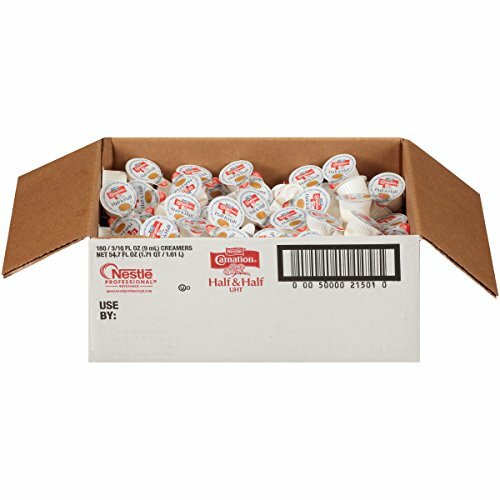 SINGLE SERVE COFFEE CREAMERS: Single serve coffee creamers aren't just great for parties, offices or group events. They're also great at home as a special treat, and individual servings help with portion control so your sweet tooth won't ruin your diet. NO MORE BORING COFFEE: Variety is the spice of life! With the variety of flavored coffee creamers available from International Delight, from classics like hazelnut to coffee house inspirations like amaretto, you're sure to find a favorite. Sample them all! 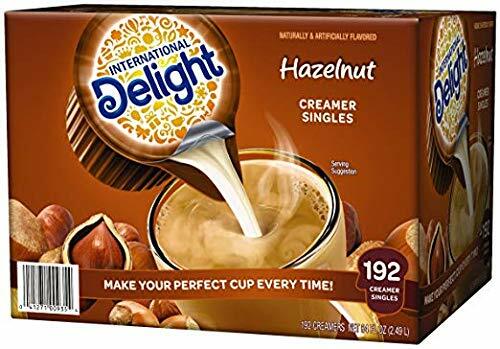 FLAVOR YOUR COFFEE: Compare International Delight coffee creamer to creamers & flavoring from Nestle Coffee Mate, Califia Farms, Leaner Coffee Creamer, Nutpods, Folgers, Organic Valley, SO Delicious, N'Joy, Ghiradelli, Torani, Monin, Amoretti, & Starbucks. 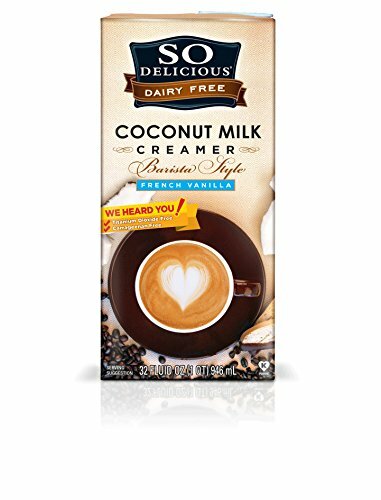 DAIRY FREE DELICIOUS: So Coconutmilk Creamer is a delicious alternative to dairy creamers, soymilk, almondmilk, hempmilk, cashewmilk, ricemilk, peamilk or any other dairy free creamers. 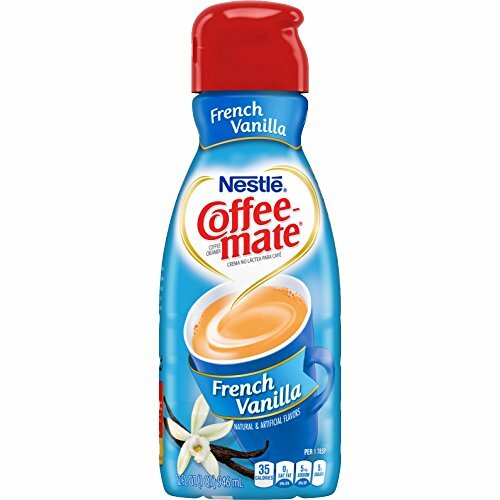 Coffee and tea both taste better with French Vanilla creamer added. 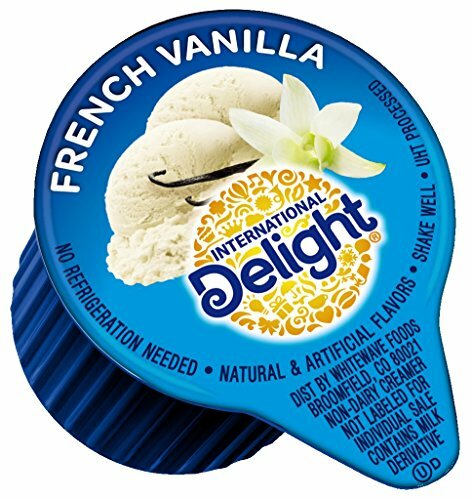 VANILLA DELICIOUS: So Delicious French Vanilla Coconutmilk Creamer is a deliciously sweet, dairy free addition to your morning coffee. No need to ask a barista, your everyday coffee routine just got easier with a touch of rich and creamy French Vanilla. 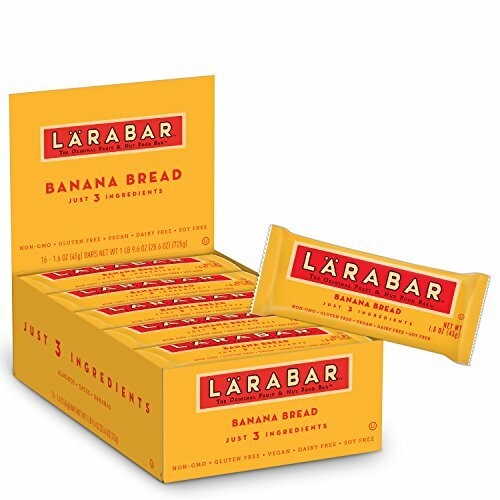 ALWAYS DAIRY FREE, ALWAYS DELICIOUS: So Delicious dairy free products are everyday dairy-free delights for every part of your day. Whether you're cooking a chocolate custard or blending up a protein shake, So Delicious has the dairy free product for you. WHOLESOME AND DELICIOUS: So Delicious dairy free beverages not only taste great, you can feel great about them. 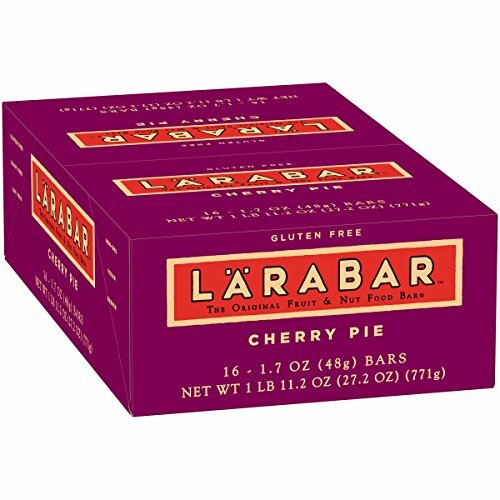 Our products are certified vegan and Non-GMO Project Verified, with no artificial flavors, colors, or sweeteners and always cholesterol free. SO DELICIOUS: Compare So Delicious's line of dairy free beverages to soymilk, almondmilk, coconutmilk, cashewmilk, ricemilk, flaxmilk, and hempmilk from Rice Dream, Good Karma, Pacific, Wildly Organic, NutPods, Dream Blends or Sneakz. DAIRY ALTERNATIVE: Mooooove dairy, get out the way! Soy milk powder? Get out the way! Coconut milk organic powder is coming in hot. Substitute your daily creamer for this healthier powder milk coconut creamer alternative. Mixes well, tastes great. 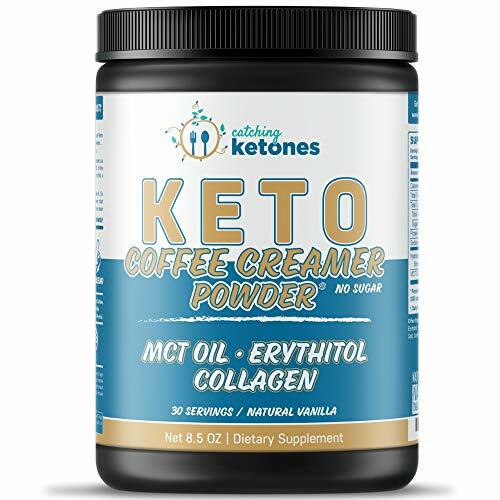 ENTERING KETONE ZONE: MCTs in coconut powder lead to ketone production in the liver, turning extra fat into these all-purpose high-energy packets. Just one more reason to ditch the soy milk powder. HEMOGLOBIN HIGHWAY: Organic coconut milk powder is loaded with iron. This attracts the affections of your body's hemoglobin: the blood's iron and oxygen transport system. Perfect for boosting athletic radiance. 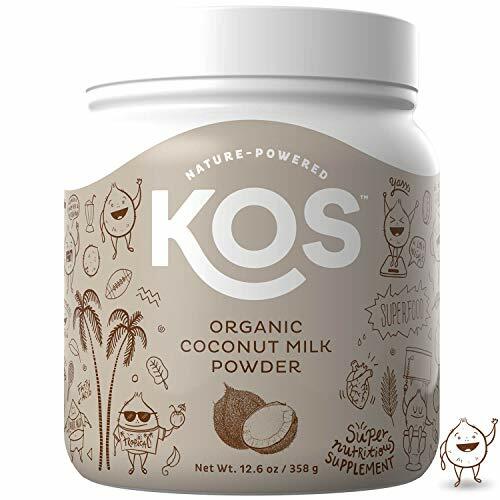 OXYGEN-BOOM: Coconut milk powder's MCT spikes production and activation of the oxygen-binding protein in human blood; yeah - our pal hemoglobin again. This added oxygen transport relieves the heart and other organs gasping for more 02. FATIGUE FIGHTER: Muscle fatigue. Gripping ligaments. Coconut milk powder gets optimal oxygen supply to all the precincts of your grateful body, disbursing the stuff through a tuned-up hemoglobin network to exhausted muscles, tissues and organs. EXPECT TO BE DELIGHTED: Our café inspired Caramel Macchiato flavor elevates any cup of coffee with warm caramel. Make your morning cup of joe a special treat or add flavorful inspiration to your afternoon coffee break. Shelf stable, non-dairy creamer. 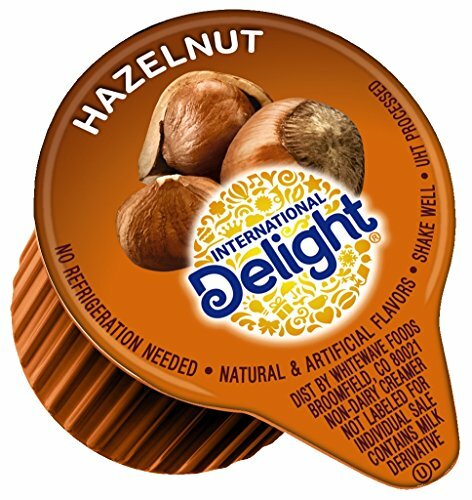 EXPECT TO BE DELIGHTED: Our creamy Hazelnut flavor elevates any cup of coffee with its rich, toasted and nutty flavor. Make your morning cup a special treat or add flavorful inspiration to your afternoon coffee break. Shelf stable, non-dairy creamer. EXPECT TO BE DELIGHTED: Our Cold Stone Sweet Cream flavor elevates any cup of coffee with its sweet ice cream flavor. Make your morning cup of joe a special treat or add flavorful inspiration to your afternoon coffee break. Shelf stable, non-dairy creamer. CREAMY, SWEET, RICH: International Delight French Vanilla Liquid Creamer is a creamy dream of sweet and mellow French vanilla flavor. Transport your tastebuds to the streets of Paris with this delicious, decadent, delightful treat in your morning coffee. 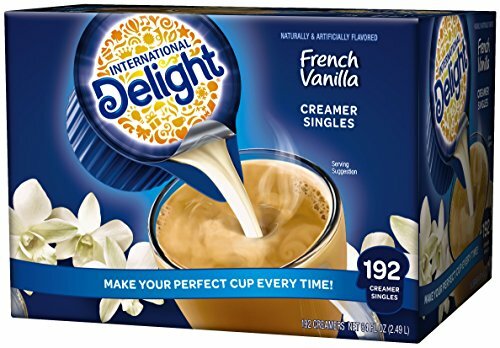 DELICIOUS CONVENIENCE: International Delight's single-serve coffee creamers are perfect for taking on the road, tossing into your purse, tucking into your briefcase or stocking the office pantry. Experience the delight of flavored coffee wherever you go! WE LIKE IT INTERNATIONAL: At International Delight we know you like it International and you expect to be delighted. Our deliciously sweet creamers will transport you to a Parisian café, a Tuscan villa, or a Colombian cafetería with every delightful cup. 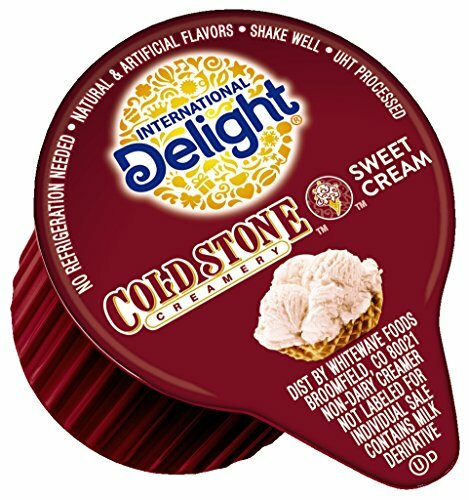 FIRST IS BEST: International Delight was the first flavored, liquid, non-dairy creamer nation-wide. We might be partial, but we think that makes us the best. We've been delighting you with a swirl of International flavor since the 1980s. SUCH A DELIGHT: Compare the rich, creamy sweetness of International Delight products to nutpods, Nestle, CoffeeMate, Natural Bliss, Organic Valley, Califia Farms, N'Joy, Leaner Creamer, Omega PowerCreamer, Laird Superfood, Wildwood, or Darigold. 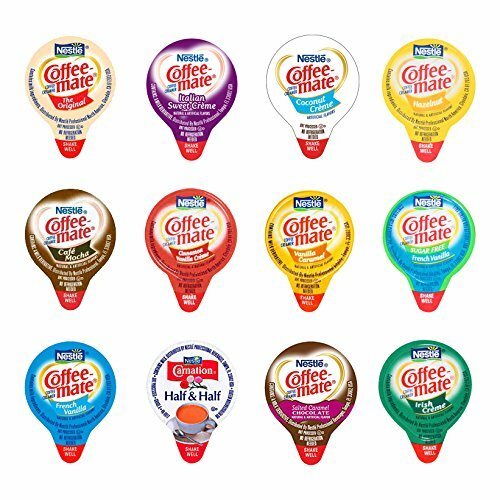 12 Flavor Single Serve Liquid Coffee Creamers Variety Pack. 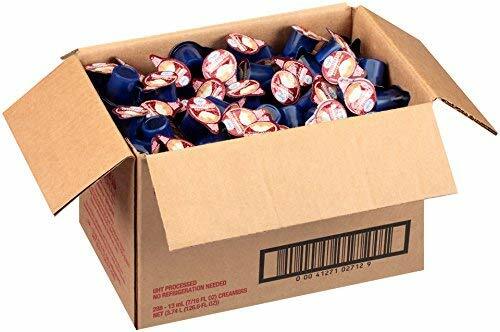 Each Cup is Portion Controlled and Foil Sealed. 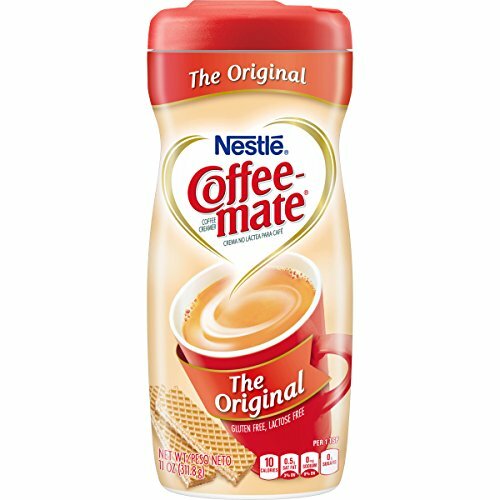 Coffee Mate Original, Salted Caramel, French Vanilla, Cafe Mocha, Italian Sweet Creme, Cinnamon Vanilla Creme, Vanilla Caramel, Irish Creme, Hazelnut, Shelf Stable Carnation Half and Half as well as Two Seasonal Flavors which will Vary. MAKE THE WORLD A BETTER PLACE WITH YOUR PURCHASE! Every purchase of RiverFinn products includes a donation to honor and thank our TROOPS. Blend quickly and completely into hot or cold beverages. 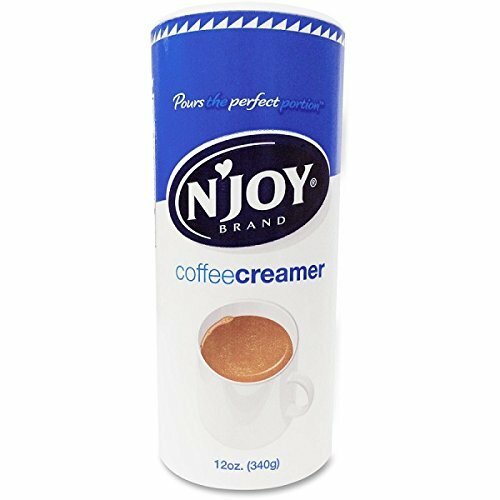 Rich and creamy Non-Dairy liquid coffee creamer - No refrigeration needed. 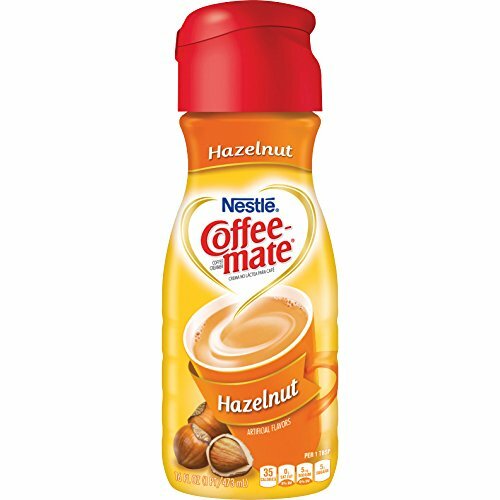 Rich and creamy way to create a delicious cup of nutty goodness. Easy-pour container is perfect for home or office. TRY IT RISK FREE - BONUS eBOOK, MONEY BACK GUARANTEE- We offer a 100% money back guarantee, because we believe in the quality of our product and care deeply about the happiness of our customers. If for any reason you are not happy with your purchase, contact us for a FULL refund. *FREE BONUS GIFT* Get a copy of our exclusive eBook, "Quick Keto Basics"
DELICIOUS TREAT: Try Silk Organic Almondmilk anywhere you enjoy your dairy milk: over your cereal, in your coffee or simply by itself. Even better, every serving pours on 50% more calcium than dairy milk. Plus, Silk almondmilk is a good source of protein. DELICIOUS ANYWAY YOU WANT: How will you enjoy the rich, smooth, decadently smooth taste of Silk Original Almondmilk? Probably with a great big smile on your face! It's delicious in smoothies, baking recipes, cereals, tea, coffee or straight up in a glass. WHOLESOME AND NOURISHING: Silk believes in the goodness (and good-for-you-ness) of plant-based foods. Our soymilk, almondmilk, coconutmilk, cashewmilk and other delicious, plant-based products are simple, wholesome & nourishing, just as nature intended. DAIRY FREE AND DELICIOUS: We know you have so many choices for dairy alternatives: soymilk, almondmilk, hempmilk, coconutmilk, cashewmilk, ricemilk, peamilk, goats milk, flaxmilk, and so many more. Silk Almondmilk has been a trusted brand for decades. NO COMPARISON: Hold Silk's dairy-alternative products up to Veggemo, Freydas, Charged Chocolate, Good Karma, Augason Farms, Milkadamia, Almond Breeze, Meyeberg, Tigers Milk, Instant Milk, Honeyville Farms, Rice Dream, Tempt, Healthworks, or Coconut Cloud. Perk up your cup with the delicious taste of almonds! Silk Vanilla Almond Creamer brings nutty flavor, a hint of vanilla and subtle sweetness, totally dairy-free. Go ahead-swirl it in. The classic favorite to create a delicious cup of creamy, vanilla perfection.